It’s that time of year again. 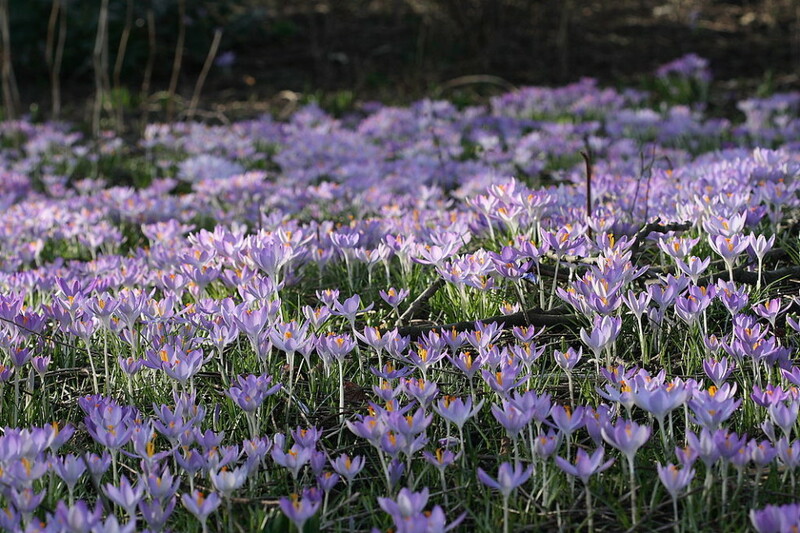 Here in Michigan, crocuses are coming out, birds are starting to sing, and the air no longer hurts my face. As spring unfurls, my obsessive love of vegetable gardening is also beginning to emerge and bloom again. I feel compelled to write once again about the garden, that tiny kingdom where you can call upon thousands of years of your ancestors’ tireless work, and millions of years of evolution, to make something beautiful and delicious. The small army of pollinating insects buzzing from flower to flower are key players in a successful vegetable garden. You can have perfectly amended soil, appropriate sun and water, and a well thought-out garden plan, but without thorough pollination even very healthy plants won’t set fruit*. You’ll get root and leaf crops, sure, but you’ll miss out on the stars of the show: the peas, beans, cucumbers, melons, tomatoes, and peppers that make all those hours of digging and weeding worth it. Fruits mature from fertilized flowers. 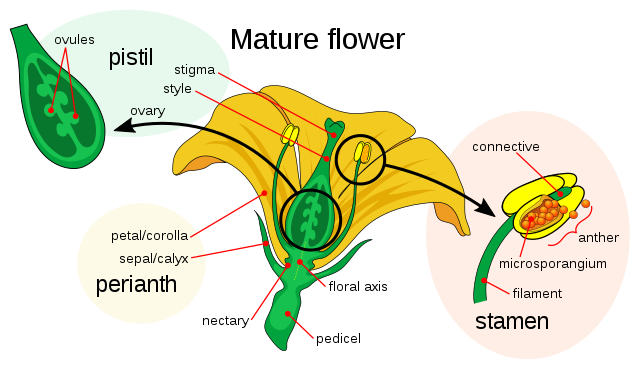 For fruit to set, pollen from the anthers (male part) of a flower must get to the stigma (receptive female part) of a flower of the same species to fertilize the ovule (egg). The ovule then develops into a seed, and the flower matures into a fruit. In some plant species, like corn, wheat, or oak trees, wind is all that’s needed for pollen to get to stigma. But in almost 90% of flowering plants, a pollinating animal, usually an insect, is needed to do that job. So if you want your fruit crops to yield for you, you must attract pollinators to your garden. While your vegetable garden won’t include anything quite as exotic as an orchid sexually frustrating a wasp, the general principle remains: your plants are specially evolved to attract certain pollinators. For example, nightshade-family vegetables like eggplant, tomato, and peppers are “buzz pollinated.” This means they have specialized anthers that only release pollen when they are vibrated at a certain frequency. This can only be achieved by specific insects like bumblebees (or a tuning fork). So if you’re growing many different kinds of plants, you need a diversity of pollinators to get them all. You could have a whole row of honeybee hives right in the middle of your vegetable garden and it wouldn’t do a thing for your tomatoes. Even if all the crops you grow are pollinated by honeybees, attracting a diverse set of pollinators will increase the fruit set in your garden. This is because different pollinator species have different preferences for flower height, time of day they visit, and the way they behave on each flower and between plants. Different pollinator species complement each other, hitting the flowers that others would have missed. Whether you live in the country, suburbs or a city, the pollinating insects in your garden will coax your plants to invest in fruit. By attracting lots of diverse pollinators to your garden, you are not only ensuring a bountiful yield of sugar-snap peas, tomatoes, peppers and whatever else you want to grow, but also helping to maintain the biodiversity in your neighborhood. You are doing well by doing good. As an added bonus, if your neighbor wants to grow a potted tomato or two, your bumblebees will gladly assist them. Attracting pollinators is a way to call on a complex ecosystem and millions of years of evolution to enrich your neighborhood and deliver a basket of ripe tomatoes to your door.